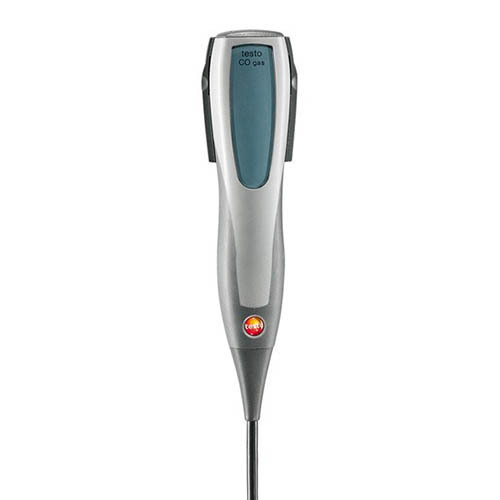 The Testo 0632 1235 Handheld External Carbon Monoxide Probe (in conjunction with the appropriate measuring instrument) helps you to detect carbon monoxide in indoor room air. Carbon monoxide is a colorless, odorless and tasteless gas and one of the most toxic substances in indoor air. The gas prevents the brain from getting enough oxygen and, in high quantities, can lead to nausea, loss of consciousness and even death. The Testo 0632 1235 Handheld External Carbon Monoxide Probe gives you a clear picture of carbon monoxide levels in the indoor air. 501 TruReward$ points will be placed in your account when you buy this item.